Staying Organized During The Holidays - Welcome to SarahKesseli.com! As most of you know by now, I am running a **FREE** 4 part teleseminar series as my gift to you this holiday season! (You can get all the details HERE) Last week we talked about ‘Staying Organized.’ Keeping our lives in order during the holidays can be very difficult for many of us. So, for those that missed last weeks call, I wanted to share with you some of the tips that I had to offer, plus some of the other amazing suggestions from those who attended! This will keep you focused when going shopping. I hope some of these tips will help you stay organized this holiday season! Don’t forget, there are still 3 more parts to come of this **HOLIDAY PRESENT** 🙂 Next week we will be discussing everyone’s favorite topic, NUTRITION! Head HERE to register! Also, if you have some other great tips that you would love to share with us, please leave them in the comments below! 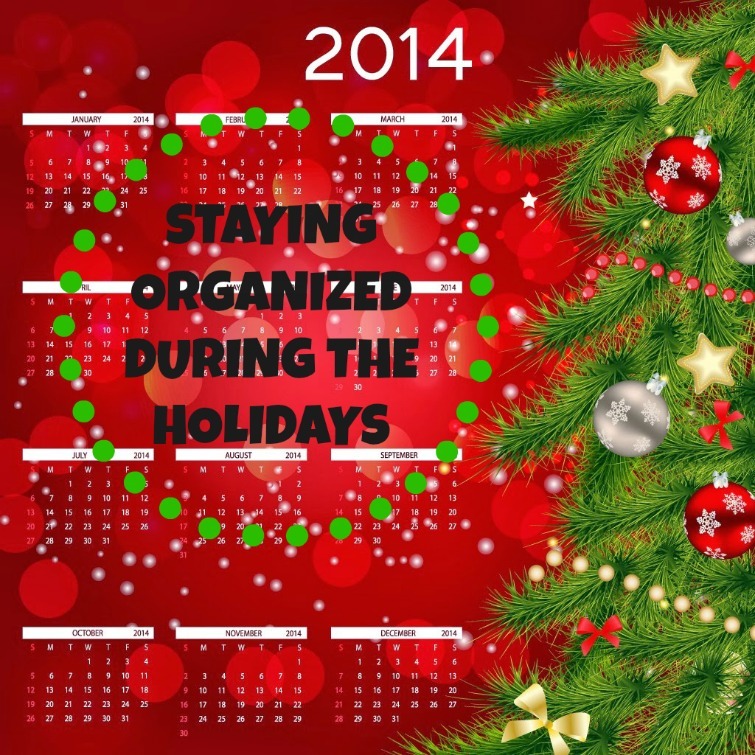 The more information we all share, the easier it will be to make everyone’s holiday as ‘organized’ as possible!